Doing what you love: How to Emulate Hank Gathers in our lives. 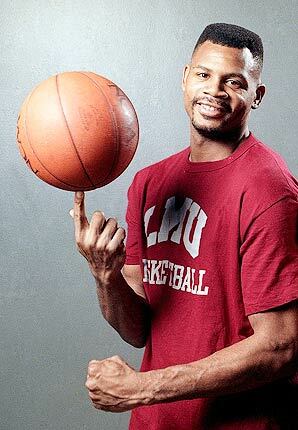 I recently watched a documentary about a Loyola Marymount University Student named Hank Gathers, who played basketball for them from 1988-1990. Hank showed promise as a Major NBA prospect and is the second player in NCAA history to lead the league in both scoring and rebounding in the same season. He loved to play the game of basketball; he pushed himself to achieve the greatness that he felt he needed to reach. He had an innate desire to succeed because he was born in an impoverished environment. Born in Philadelphia, in a place which was known as “the Projects”, Hank lived a very poor life and the only thing that got him through his early days was playing Basketball. He loved the sport of Basketball, dedicated himself to it everyday. His goal was to be Good enough that he may make his families live’s better, especially his mother’s. Probably the only thing that he loved more than Basketball was his mother. Therefore, he worked his hardest to excel not for himself, but for his family, whose hopes and dreams were placed on his shoulders.